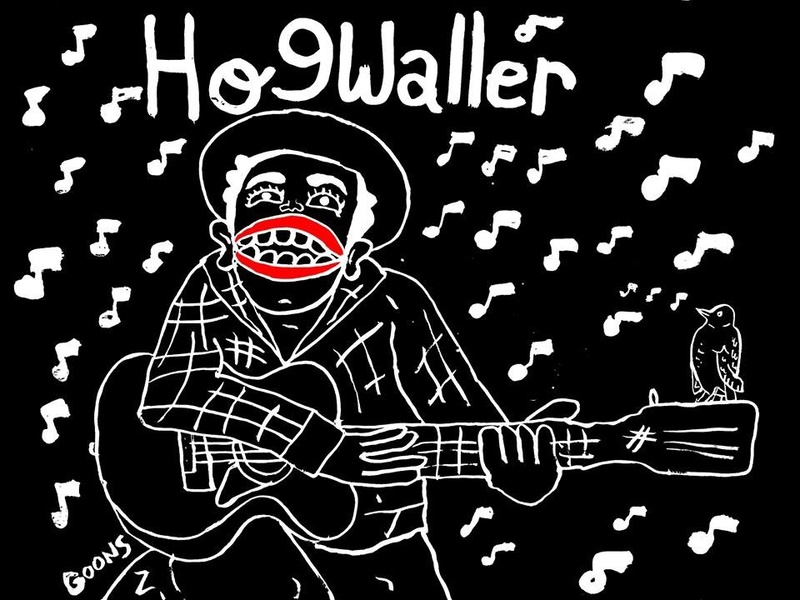 I recently got contacted by my good friend Ryan of HogWaller to design a sticker, t-shirt and album cover. I started with these sketches. 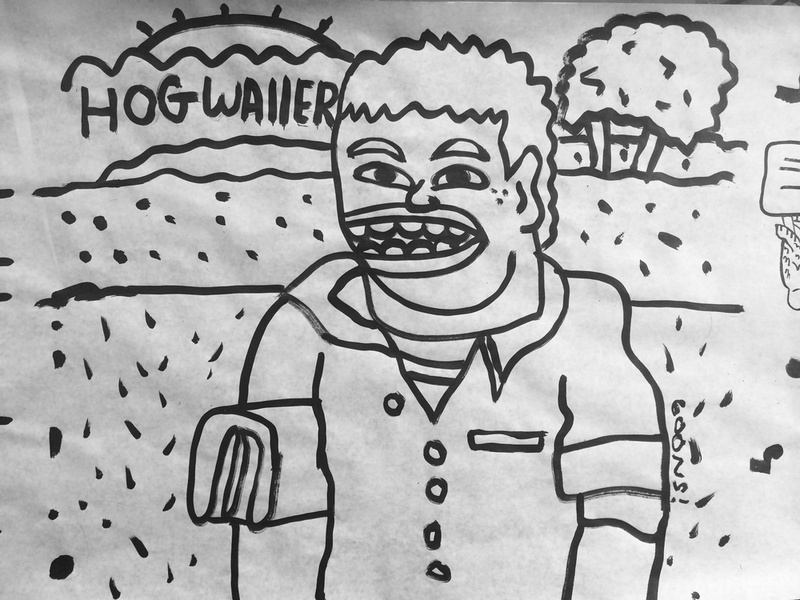 And finally added the title 'The Bitter Busker' and squared it up. Ready for release! Best of all Ryan loved the designs and will be using them for a long time to come. Bonus: also just did a lil' work for musician Joe Bordenaro. He just found out his bandcamp can have a header so he got in touch with me. Colored it in and boom!